Pro-line 28 Walk flat-vinyl decal replica sold by set for each side hull. This flat-vinyl version decal is a very affordable and great alternative for those OEM raised decals on most Pro-Line Boats. This design is also used on 2009, 2010, 2011, 2012 Boat and others. 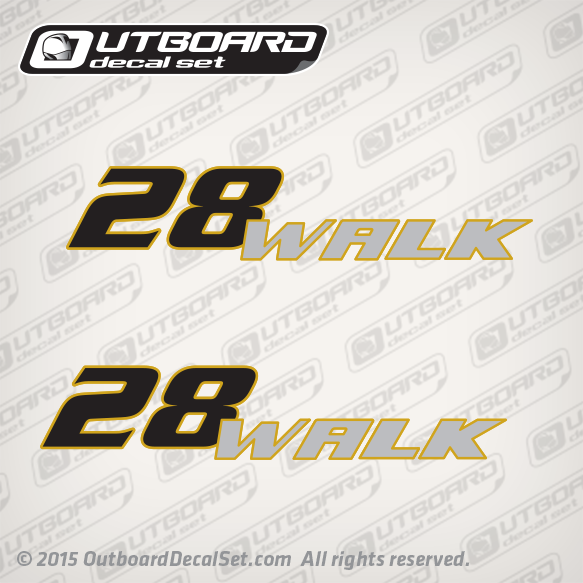 You get (2) Pro-Line 28 walk decals, one for each side. Port and Starboard side. Black, Gold and Silver colors. Overall Dimensions : 16.750 x3.375 inches Aprox each decal. 28 letters are 3 inches tall.